For entrepreneurs, content marketing is a vital component of a venture. Without it, the creator will be flailing around in the dark, not reaching the necessary market. Using effective content marketing strategies allows the entrepreneur to reach the right audience. In addition, the right strategy will spread the right information. The idea behind a content marketing strategy is to find new audiences and retain existing audiences. The aim? To create a customer base to increase the bottom line of the venture. Ultimately, more traffic means more money. Deciding to do content marketing is all well and good. Without a specific strategy, the outcome will be less than favorable. A strategy requires careful planning and an organized approach and is essential for the establishment of an online business. Several tools for the organization of a content marketing strategy are available online. Each focuses on a specific approach to content marketing in an organization. The entrepreneur would be wise to use more than one to maximize the different benefits each offer. Here are 6 tools considered effective for organizing and managing a content marketing strategy. For users who find visual organizers effective, Trello is an excellent tool to use. 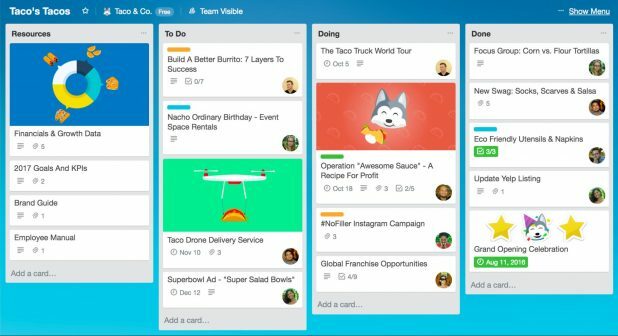 The card system Trello creates helps the manager keep track of different tasks. Tasks go through phases from concept to publication. Trello allows the user to keep track of the progress. An added advantage of Trello is that the content manager can keep track of tasks performed by multiple contributors. The work can be reassigned to another person during the task. For example, the task will move from the writer’s ambit into the editor’s domain. With Trello, all members of the team are on the same page. Trello is a zero expense for individuals. This applies only to the core features. More advanced features in Business Class cost $12.50 per team member per month. Keeping track of digital content post-publishing is as relevant as keeping track of the stages prior to publication. Digital content managers want to know how much traffic the content is generating and how long users stay on the site. Google Analytics provides a digital content manager with feedback on the effectiveness of the strategy. 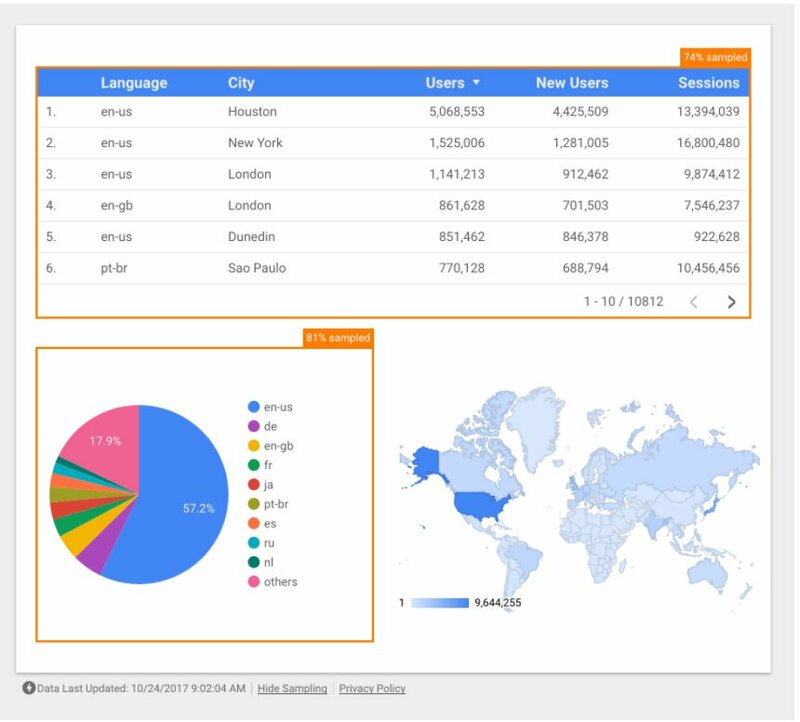 With Google Analytics, the digital content manager can keep track of how many people are users and how many page views a post got. Based on this and the other statistics Google Analytics offers, the content manager can confirm what’s working and what isn’t. Keeping an eye on the results the strategy is producing allows the content manager to amend the strategy if necessary. For example, knowing which online campaigns are generating the most traffic will guide the content manager in future decisions. Powered by Builtvisible, the Content Strategy Helper is useful prior to planning the content of digital marketing. The power of this tool lies in its ability to give the content manager insight into what’s trending online. The user can determine the trends around the content planned for publication. The Content Strategy Helper accesses information from a variety of platforms such as Facebook, Twitter, LinkedIn, Google News, Reddit, and YouTube. Google search trends are also highlighted. Content marketing should be search engine optimized (SEO) for success. Knowing what’s trending and which SEO keywords are important will guide the content marketing strategy to reach the intended market. The timing of publication of digital content marketing is crucial. Released at the wrong time, well-crafted content may get lost in the crowd. A good content marketing manager knows not to flood the internet with a deluge of content. Content should be strategically released on different platforms at different times. The busy schedule of a content manager makes it easy to forget to click the publish button at a specific time. Buffer helps the content manager. The tool offers the manager the capacity to plan and schedule the release of content. 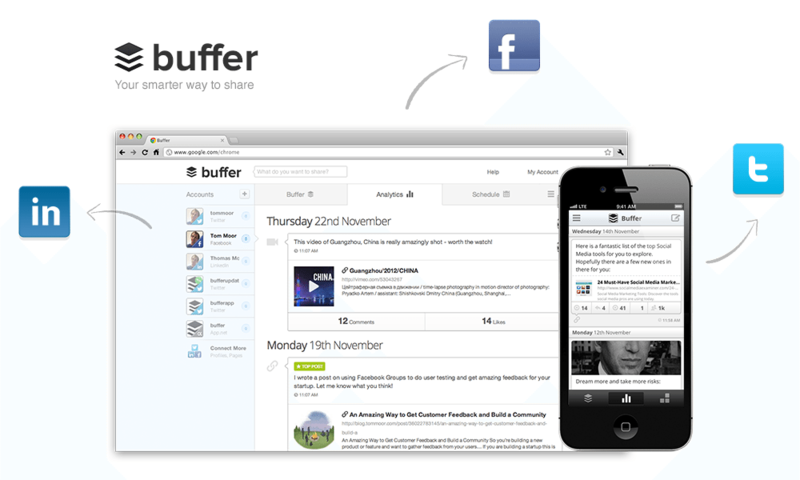 Once content is ready for publication, a hold is placed until the pre-arranged date on Buffer is reached. This hands-off approach to the timing of release gives the content manager time to focus on a myriad of other tasks. 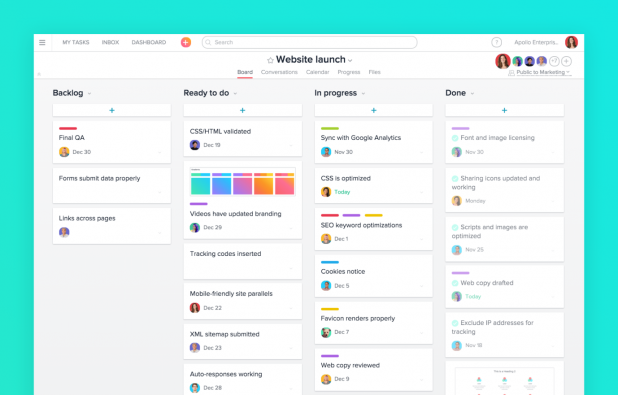 As a project management tool, Asana allows the content manager a bird’s eye view of the tasks at hand. What makes it even more effective is that it allows for drilling down into the details of multiple projects. Projects consist of different tasks. Tasks can be specified under the heading of each project. The person responsible is shown as well as the deadlines for task completion. 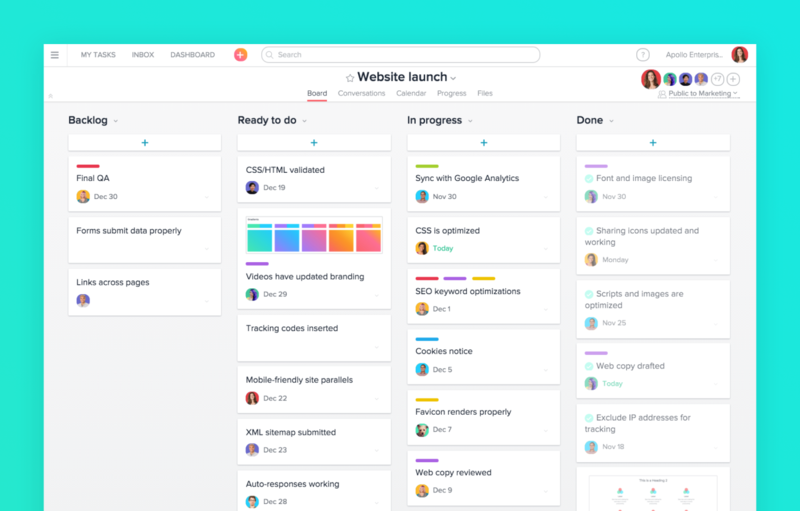 Asana allows the content manager to track the progress of projects. Immediately, the completed and outstanding projects and tasks appear. 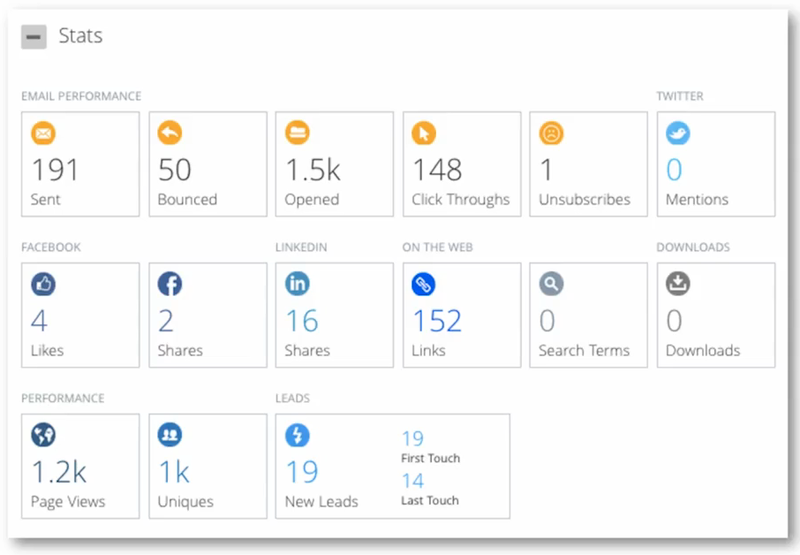 The content manager can now determine which employees are not meeting targets and deadlines. Interventions can be put in place to remediate the matter. Asana is an ideal tool to manage large groups of content contributors. Users are offered a free trial. For teams of up to 15 members, the tool costs nothing. The Premium version offers more features at a cost of $9.99 per team member per month. Kapost offers users a dual content marketing function. The tool allows the content manager to track the progress of digital marketing content. From the ideation to publication, a centralized calendar keeps the manager and team members up to date. The stages of the journey are well-defined, and progress can be tracked. After publication, Kapost offers feedback on the success of the content published. The tool offers the user the chance to see how many times the post was shared and how many times it was downloaded. Additionally, the number of views and clicks can be seen on the analytic dashboard Kapost offers. Kapost simplifies the sharing process to make sure content is shared across different platforms. This highly effective tool is costly. The starting price is $3,500 per month. Not ideal for the growing business, Kapost can be considered once the venture has taken off. Effective digital content marketing strategies apply a different number of approaches. These include both written and video submissions. Video marketing is gaining traction in the content marketing industry. This format should be at the forefront of any content manager’s planning. Different tools provide different services and features. To gain the maximum benefit of the tools for planning, calendar, and analytical purposes, the content manager should consider using more than one. Each offers a contribution to the optimization of the digital content marketing strategy. Scott Mathews is a professional content writer in such topics as IT, digital marketing, SMM and SEO. 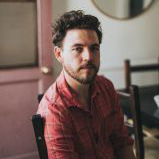 Scott`s the biggest passion is blogging and travelling. He regularly takes part in different conferences and contributes his posts to different websites. Contact him on Facebook and Twitter. The post 6 Essential Tools to Keep Your Content Marketing Strategy Organized appeared first on SiteProNews.